Apparently, he doesn't forget. 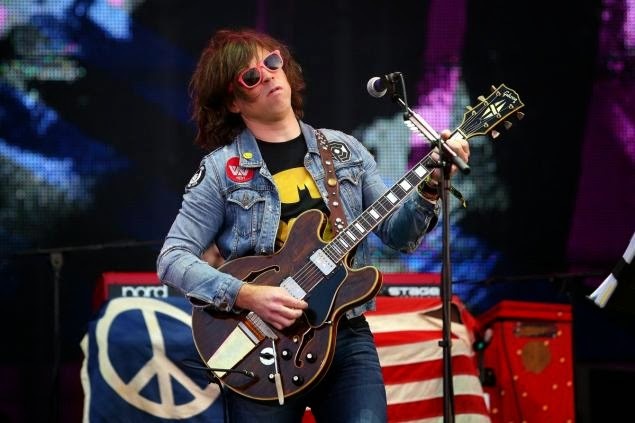 It has been nearly 13 years since a fan was infamously ejected from the Ryman Auditorium located in downtown Nashville by Ryan Adams. He was given a $40 refund while he was leaving. What was the crime? The fan was repeatedly shouting requests for ‘Summer of 69’, a Bryan Adams song. While it may have been a harmless joke, it was a major distraction in the show which mostly featured Adam’s acoustic guitar, his voice and cameos from David Rawlings and Gillian Welch. Adams returned with the Cardinals along with him to the Ryman after four years. Delivering two hours of Deadhead-driven country rock, the singer may have been looking to bury the hatchet, but the band’s performance came to a stop when a heckler in the second row began a string of taunts directed at the front man. Adam cut his performance of Jacksonville City Night’s ‘Games’ halfway through the first verse and angrily answered the heckler, daring him to come up on stage and then speak. The heckler backed off after that and the show stayed uneventful after that, with no reprimands or refunds needed. However, the gig failed to get rid of the lingering memories of the original Ryman incident from the mind of the singer. Adam failed to do anything for putting the whole thing at rest until last night. He had a two-night stand at the Ryman and during his final moments, the singer wrapped up a mesmerizing and wonderful performance of ‘I See Monsters’. Two sheets of paper were brought to the front of the stage by a roadie when Adams stepped away from the microphone. He gave the sheets a quick once-over. Then, along with the full band who were waiting in the wings, he surprised everyone with an acoustic performance of ‘Summer of 69’. It was basically a stripped-down version of a song that had been the cause of so much drama nearly a decade before. Adams has developed a genuine friendship with Bryan Adams in the last year and even wished him a happy birthday in November. The 1985 hit was played by Adams alone and he treated it as a melodic and moving tribute to teenage dreams and young love rather than a guilty pleasure of the Reagan-era. In this two-day sold out show, Adam decided to reserve the best for last and made peace with the city that had been his home when he recorded his solo debut in 2000.